Many airlines offer to match status, meaning you show proof of your elite status with one airline, and they’ll match your status in that program, often only up to the mid tier. This is generally once in a lifetime, many airlines don’t do it, and they’ll typically only match another alliance’s status. But a couple of years ago, before Northwest merged into Delta, I figured I might as well status match to their Platinum level (by sending in my United 1K credentials), and it paid off nicely. I had about four or five trips between Continental, Delta, and Northwest, and ended up getting upgraded to first class on every single segment. I wouldn’t usually “waste” a status match on an airline just to upgrade a few trips, but my reasoning was that I could still status match to Delta in the future if I ever wanted to, since it was only WorldPerks that was dying. Along the same lines, Continental is very generous when it comes to status matching. They’ll match to the equivalent tier, all the way up to Platinum status. If you match now, your status will be good through early 2012. And since it looks like Continental and United’s merger process is moving along pretty fast, this might be a good time to get status in the combined airline without wasting your “once in a lifetime” match. I have to imagine that if in 10 years you wanted to status match to the new “United,” a match to Continental pre-merger wouldn’t prevent that. For full details on how to status match, see this FlyerTalk thread. Continental told me that they will not match any Star Alliance status, I tried a few months ago. Anyone else have this issue? Which *A program were you matching from? 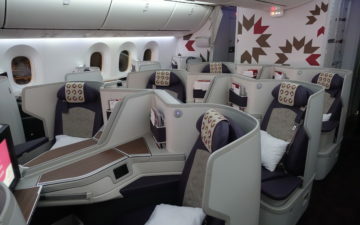 Any way to get complimentary elite on any airline that I can then use to match? Most of my flying over the past year has been premium cabin awards thanks to the US TIB promo, the Discover America Wyndham bonanza and other CC sign up bonuses so I’ve barely accumulated any EQM. What took you so long to post this? What is the likelihood of receiving a status match from Continental for my wife who is currently a United Premier Exec, but only has about 2000 miles flown this year? Continental requires you to send a current statement and my wife’s would not look too impressive. I’m trying to find a way for her to have status next year because she’s not flying enough this year. @ Ryan — I’d say slim to none, and not even because your wife hasn’t been flying United, but because Continental wouldn’t match United’s status. Here’s a question: I am currently Prem Exec on United but have only flown 25,000 miles this year. I am also Plat on American – if I use American to status match, would my status in Mileage Plus after the merger be Prem Exec (or whatever the combined entity called it) for 2011? I am loathe to lose my mid-tier status on United but a newborn baby at home will limit my ability to mileage run this fall/winter. I think it’s a bit premature to assume that Mileage Plus will be the surviving program. Additionally I’ve heard of people getting denied a status match to Delta with the reasoning that they had done a status match to Northwest. If that is the case, I would assume the same with the new UA/CO entity. Any update on this? Do we know when the programs might merge. Holding off on a status match until the last moment.